Recently I added another role to my LinkedIn account and have since been getting lots of well wishes but also a number of concerned questions on whether I had stopped working at Maverick to become advisor at The Palm Scribe. So here’s a note of explanation to the concerned and the curious. The first thing to point out is that the new title does not change anything at Maverick. I continue to work there but because I’ve been fortunate to have found a very capable team who are able to take over much of what I do, I have decided to take Fridays off to reflect and have some me time; as well as to take on more of a mentor and advisory rather than operational role. At the end of the day, however, this is a people and relationship business and if the clients need me I’m always there for them. In the meantime, however, I’ve taken on the role as advisor in a platform run under the auspices of Maverick, The Palm Scribe. What is The Palm Scribe? In short The Palm Scribe is a platform that supports the development of the Indonesian palm oil industry through constructive journalism. Like all elevator pitches, that description is meant to pique rather than provide a comprehensive explanation. So if you’re piqued here’s the reasoning behind The Palm Scribe. To start with, consider the palm oil industry. Strong opinions are expressed on all sides but the playing field is a bit uneven as its tilted in favor of the Western/Green advocates. There are several reasons why this is so. The Western players are more sophisticated in lobbying and communication techniques. They take their communications seriously and are more able to put their side of the story across. Their Asian/African counterparts do not take communications seriously and are usually outflanked. NGOs are social media savvy. They are hungrier because they have to earn their funding and as a result they are more innovative and creative in using paid, earned, shared and owned media to make themselves known. Many of them also realize that to persuade is to appeal to the emotions first and foremost an they succeed admirably. The mainstream media is devastated by falling readership and revenue. As a result they have few journalists and resources left to raise the right questions and issues and to ask the right questions of and hold accountable the policymakers, players and NGOs. Reactive journalism, click baiting stories and cut and paste reporting happens more often than we would want them to be. Most journalists think that palm oil players are slimeballs because they often do not act like they are open, accessible or accountable. Combined with #3, they are disposed to carry any attacks on the palm oil players prominently and tag on their responses (if they get around to issuing one at all in a timely manner) later in the story. By then the damage is done. The palm oil players themselves are bad communicators. Many of them are owned and run by business people more accustomed to deal making in backrooms than realizing that public opinion can affect their businesses. Others are run by families where bloodlines rather than competencies determine who is the decision maker. The result is that there are almost no oil palm player that can communicate in a persuasive, authentic and credible manner. Ineffective committees and trade associations. 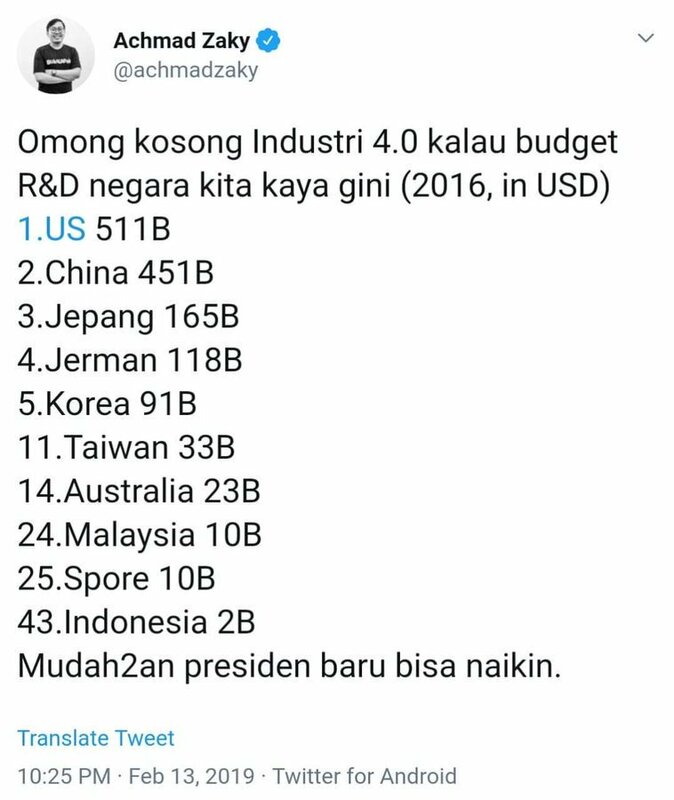 Apart from Malaysia that has quite an active lobbying and communications effort, their Indonesian counterparts are more mired in bureaucracy and pleasing all stakeholders rather than projecting a favorable image for the industry. Most importantly, however, because of all the elements mentioned above the public discourse on palm oil has gone askew. There is a world shortage of food and in edible oil that will be more acute with time. Of all the oil crops, palm oil is the most efficient oil to help address this shortage. As such you would think that the discourse on palm oil should be on how to make the industry strong, viable and sustainable. Unfortunately, however, most of the conversation and discourse on palm oil is about violations to conservation and sustainability standards (some arbitrarily advanced by this body or that) and the wrongdoings of the players. Something needs to be done about this if palm oil is indeed the crop for the future. Having helped some palm oil companies manage attacks agains them as well as helping to tell their side of the story when it coms to sustainability issues, one of the things I realized is that many of the palm players are so traumatized by what they perceive is an antagonistic media/NGO environment that they do not know what to do. So many of them opt to keep their heads below the parapet instead. This does not serve them well because every negative story or article gets accumulated in Google and when investors and others want to find out about you, guess where they go to first? Out of all this the idea of The Palm Scribe was born. Instead of fault-finding journalism we would adopt the principles of Constructive Journalism (a concept I personally poo pooed until I started to research more about it). We would cover the palm oil industry, raise the issues that ned to be raised, ask the right questions. We would focus on the solutions the companies adopt or put in place in response to allegations of wrong doing. And we would also provide them a “non-editorial” space on our website to showcase their CSR, sustainability and community engagement efforts as well as space of their announcements and press releases. In going into this we were aware that the success of such a platform rests on its credibility, judged by the quality of it content. As such, we scouted around and was fortunate to be able to enlist the talents of Bhimanto Suwasteyo, a veteran Indonesian journalist who has worked for AFP for years and one of the founding editors of The Jakarta Globe to generate our content. He works with Wicaksono, better known as Ndoro Kakung, who is a very respected name in social media circles, as well as a team that supports the content generation in the platform. On the question of credibility, some might question whether a platform run by a PR consultancy can be trusted not to spin things. To them I can only say that if they understand what PR truly does they would understand that it is about getting companies and clients to communicate authentically and credibly. You cannot do that if your words are not matched with your actions. Will The Palm Scribe work? Who knows. We live in an age of disruption where old ways of doing things no longer work and nobody can say with great certainty what does and what does not. We at Maverick think that this is worth a try because if we succeed we could potentially change how companies in controversial industries can communicate. If you are still interested in The Palm Scribe, write to me at ong[at]maverick.co.id or check out its website. Alexis almost certainly has prostitution as one of its services and Jakarta Governor Anies Baswedan is right to close it down if morality is his kind of thing. But shutting it down based on press reports rather than on hard evidence is worrying, as it sets a bad precedence of executive action based on suspicion. What this means is that in future all the Jakarta government has to do is suspect that you are guilty of a violation to impose sanctions on you. And the basis of their suspicion? Media reports. While there are many responsible and professional journalists out there who would document and recheck their facts before going to print, there. are many more still who are slack, naive and easily manipulated or can be bought or intimidated. This being the case, it is not difficult for anyone to engineer negative stories against any business or party. And given the depleted ranks of journalists because of falling ad revenues it is easy for even implausible stories to be copy pasted onto other publications, amplifying the negativity. With Anies’ action to deny the renewal of Alexis based on mere press resports rather than, say, an investigation by City Hall officers or the Police, we have entered the dubious territory of Kangaroo Courts. We’d better hop onto trying to right this wrong before we end up in Anies’s pocket. Did Jokowi also call for Pribumi privileges? Did Jokowi say the P word as reported by CNN? These are sensitive times. Since newly installed Jakarta Governor made his Protect Pribumis speech at his inauguration the P word has gained new political impetus. One thing about the internet is that what is old can be made new again, with a new twist. Responding to the widespread criticism against their leader, Anies Baswedan’s supporters trotted out CNN Indonesia’s report on 22 June saying that he was not the only Pribumi champion and the cue was actually set by Jokowi. Going beyond the headline and reading the news, however, reveals that Jokowi did not say the P word. We read the news every day but how much do we know about the editors behind the news? What informs their thinking and decisions? At Maverick we decided to find out about this important group of people the good old-fashioned way, by actually talking to them. Here, published in Maverick’s blog, we talk to Arif Budisusilo who helms Indonesia’s most important business publication, Bisnis Indonesia. We found that he has very original views about nationalism and national interest, among other things. My thanks to Iwan Kurniawan for coming up with the idea of interviewing the literal newsmakers, and also Nurniyati who was in the media relations team but has left for greener pastures in Singapore, for coming up with the idea and making things happen. The Jakarta Globe has been interesting to watch since its birth in 2008, beginning with an idealism to start a quality newspaper against a trend of dropping readership in printed dailies. Unspun was skeptical of the paper’s success from the start, a view that won him few friends in the startup paper then. But Unspun began to have a kinder view of the paper after it hired veteran journalist Bhimanto Suwastoyo from AFP to be the managing editor. Bhim, apart from being a friend, is known and respected in journalism for his knowledge and his management and training of young journalists.Together with veteran journalists David Plott and Lin Neuman, they had a team who were capable of putting out a good paper. The Jakarta Globe’s inaugural issue. All water under the bridge now. The Globe then had a good run, and at one point seemed a better paper than the established The Jakarta Post. Then things began to slide. The paper was using too much money and they began to lay off its editors. It hit a new low when it ran an editorial on Lady Gaga. It was around then that Unspun, who had switched subscribing from the Post to the Globe, switched back to the lesser calamity. The rest is history. More journalists were laid off and The Jakarta Globe accelerated in its sad and slow decline. Today it is a parody of a newspaper especially with its ridiculous new format. It is pathetically thin and its layout is meant to mimic its website, with photographs and news in panels tiled on a page. In other pages its mostly ripped off wires with the token “own reporting” from the Berita Satu Group. Apparently the remaining journalists there tried to tell the owners that it looked horrible and wouldn’t work but the bosses were in no mood to listen. Part of the reason for this format is because the Riadys who own it think, not necessarily erroneously, that the future is online. That may be true but online or off, what ultimately marks the organisation as a news institution would be the quality of its journalism. There is little evidence that the online version today matches the quality of its stories in the printed version’s glory days. The Jakarta Globe’s printed version today looks so miserable that it might as well be dead. Anyone who cares about journalism would want to put it down for humanitarian and compassionate reasons. No paper that once gave the leading English daily in Indonesia a run for their money should be allowed to continue to exist in such a zombie-like state. One step forward for Post, one step back for Globe? The beginning of the end of the Globe? Did The Jakarta Globe’s editorial go gaga over Lady Gaga? Jokowi to connect better with new Communications Team? It appears that after months of having no one to tell the story on behalf of the Government and giving rise to uncertainty and confusion about government policies and decisions, President Jokowi may finally be taking a step in the right direction. According to the Jawa Pos News Network (below), he has appointed Teten Masduki and Sukardi Rinakit to head his communications team, that no one seems to know exists until now. Teten is an Ombudsman, and the Secretary General of Indonesian Corruption Watch. 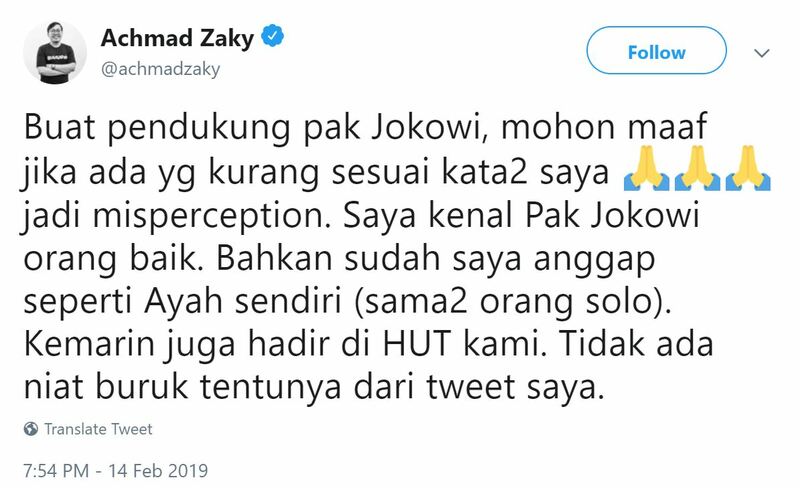 Sukardi is a political observer better known by his nom de plume Cak Kardi. Both are long-time associates of Jokowi. But wait, this is the Jokowi administration so things may not be what they seem. The Communications Team, according to Sukardi here, will not act as the Government’s spokespersons. Rather they’ll merely be information gatherers to inform the Government what is going on. Not much glory in being media clip vendors but even this might be an improvement from the seemingly clueless and ill informed performance of Jokowi and his Cabinet so far. Sukardi adds that in Jokowi’s view his Ministers will be his spokespersons. Oh Lord! This is precisely what Jokowi’s government doesn’t need. Jokowi’s Government has been suffering from cluelessness in how to use communications strategically. They have shown so far that they do not have the means to intercept acquire and process up-to-date information, to plan ahead and coordinate a common line for the President and Ministers to take and to anticipate questions and issues. The failure to intercept and acquire data may be addressed by the Communications team but what about the planning, coordination and anticipation? 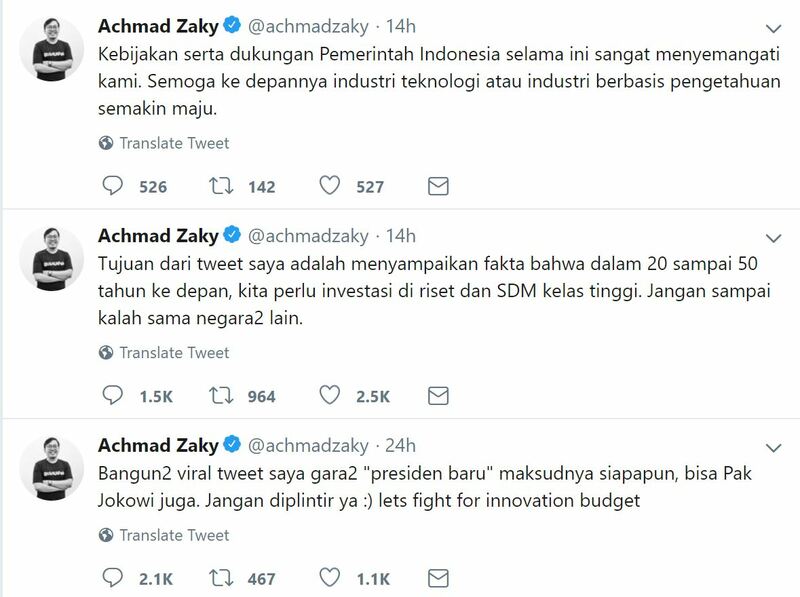 This is a communications function and Jokowi would do well to appoint a Communications Chief and a team that can do all these but also to act as a spokesperson for the government. Then he can on background add context for the media to what the President or his Ministers say or do. Others the media are left paddling in an information vacuum trying to second guess the rationale between what’s being said and done. Unspun hopes that the new Communications Team would pass this piece of unsolicited but well-meant advice to Jokowi – if they actually manage to intercept it, and are in a position to advice the President based on the information that they get. JAKARTA – Presiden Joko Widodo telah menunjuk Staf Khusus Sekretaris Kabinet Teten Masduki dan Staf Khusus Menteri Sekretaris Negara (Mensesneg) Sukardi Rinakit, untuk memimpin tim komunikasi kepresidenan. Keduanya akan berstatus sebagai Staf Khusus Presiden. 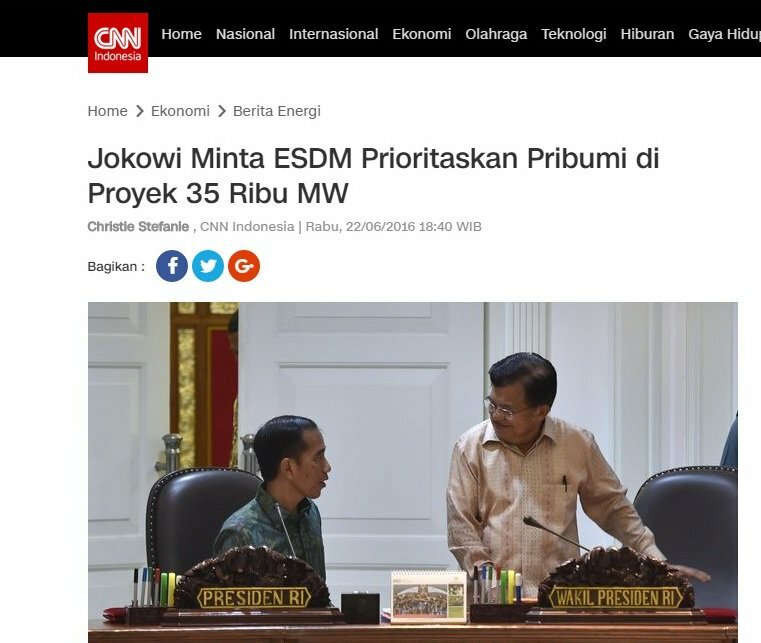 Sekretaris Kabinet, Andi Widjajanto mengatakan, keputusan presiden (Kepres) mengenai penunjukan Teten dan Sukardi sebagai tim komunikasi presiden sudah ditandatangani Jokowi, sapaan karib Joko Widodo. “Mereka berdua nanti yang nanti akan mengkonsolidasikan tim komunikasi presiden, langsung di bawah presiden. Jadi tanyakan langsung ke mereka,” kata Andi di kantornya, Senin (11/5). Dengan penunjukan Teten dan Sukardi sebagai pengurus tim komunikasi presiden itu, seskab mengisyaratkan, bahwa Presiden Jokowi tidak akan menunjuk seorang jubir. Setelah ini, Andi mengisyaratkan dirinya tidak akan lagi sering tampil di media massa. Mengenai kemunculannya di media selama ini, menurut Seskab, karena ia ditugaskan menyampaikan berita kepada media massa selama menyiapkan tim komunikasi presiden.